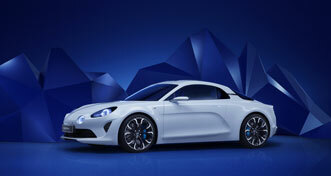 Alpine is today unveiling its Alpine Vision show car. 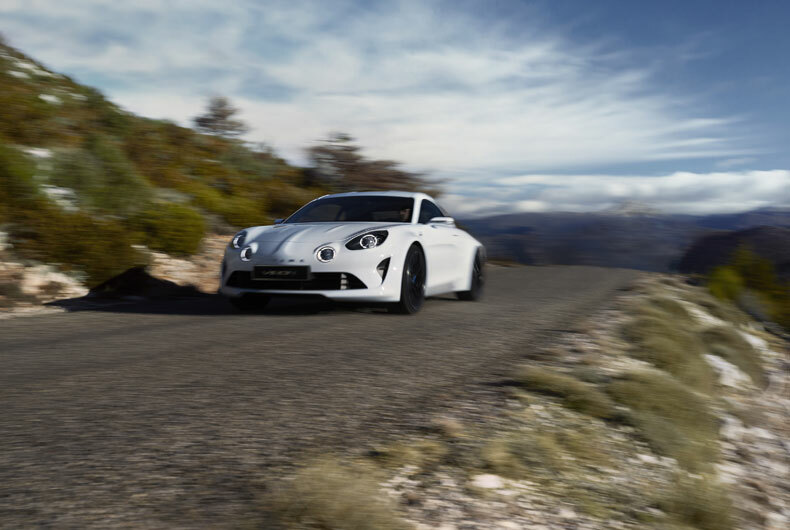 Marrying elegance, agility and authenticity, this midengined two-seater coupé is in every respect a true Alpine. 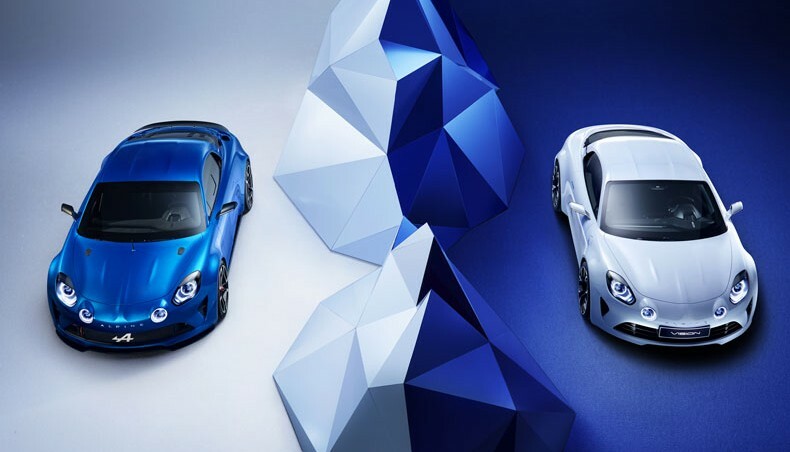 The Alpine Vision heralds the style and performance of the road-going sports car that will be revealed before the end of the year. Manufactured in Dieppe, France, the upcoming model will go on sale from 2017, initially in Europe and subsequently across the rest of the world. The authenticity of a sports car that follows in a long line of illustrious Alpine models. 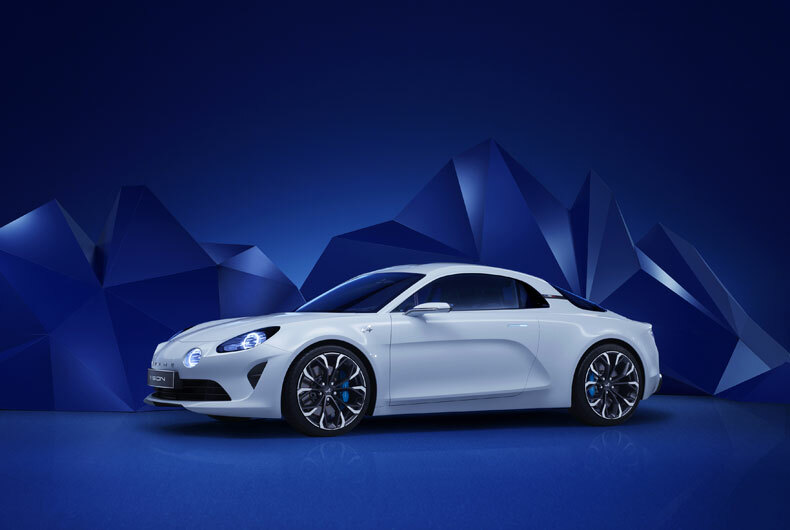 Alpine promises to enhance every part of the experience, and the forthcoming road-going model will continue to bear this hallmark. 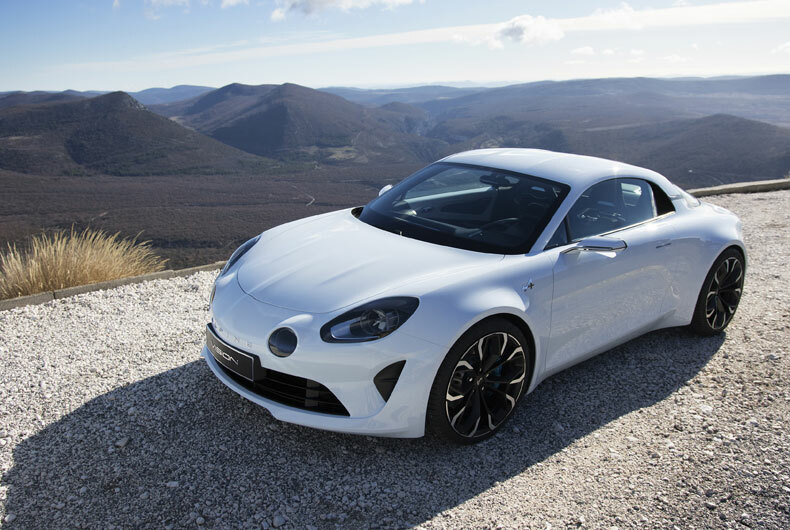 The Alpine Vision is the ultimate sports car: a high performance, elegant, lightweight car dedicated to driving pleasure in its very purest form. 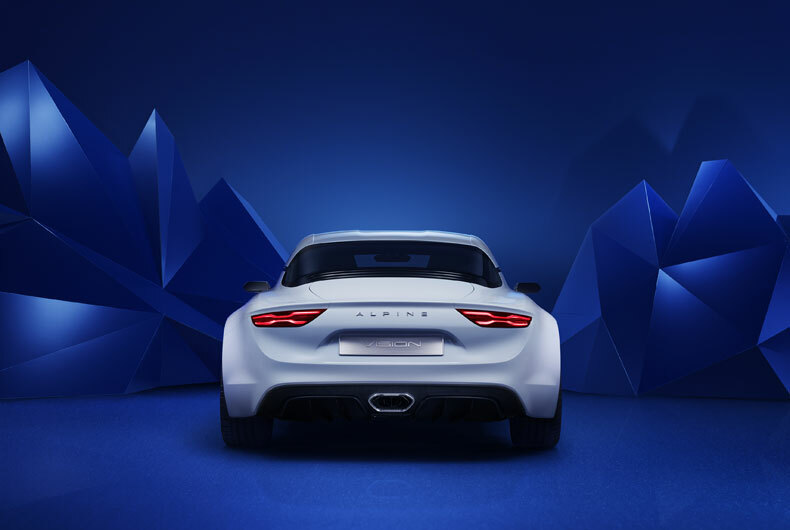 From its low, sleek profile, rounded bonnet, twin round headlights and sculpted sides to its pronounced rear wings that narrow towards the rear to form an elongated tail incorporating horizontal rear lights, this is a true Alpine in every respect. The marque’s arrowed ‘A’ badge is visible on the front wings and on the sides of the car, along with more subtle references to the legendary A110 and other iconic models. The Alpine Vision’s design points to performance and style. Both inside and out, its forms and technologies are celebrated rather than concealed. Its diamond turned wheels suggest elegance and speed, while the muscular stern integrates air intakes into the rear panels to facilitate engine cooling. The elongated rear lights incorporate a distinctive X-shaped lighting signature and the design of the rear window similarly pays tribute to the iconic shape made popular by the A110 back in its day. 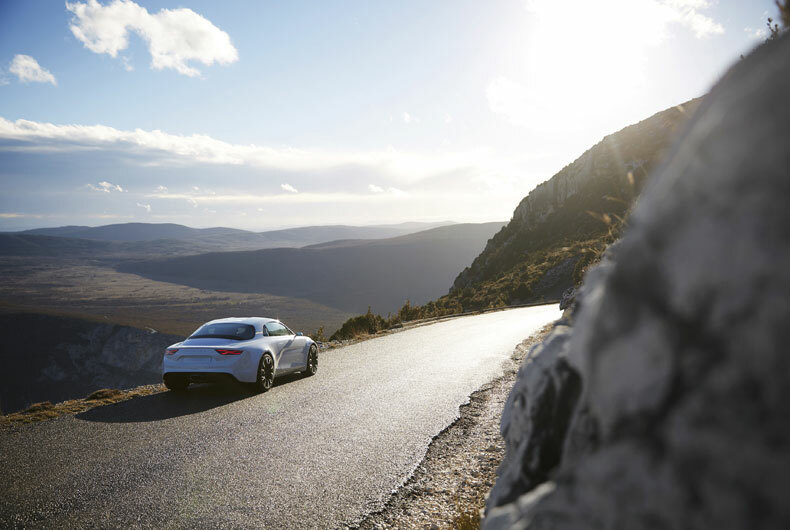 The agility and spirit of its handling means the Alpine Vision is especially in its element on winding roads. This characteristic can likewise be found in its design. From the moment the door is opened, the tone is set as the aluminium door sill – inscribed with the name of the show car’s designers – invites the driver to step into a unique creation. In employing a blend of leather, microfibre fabrics, aluminium and carbon, the cabin exudes a contemporary feel. In a high-tech environment, features drawn from the world of motorsport sit seamlessly alongside others that harken to a bygone era. As a case in point, the backlit door opening control contrasts with the damasked black leather door panel trim, which is highlighted by white topstitching. Similarly, the bucket-style seats incorporate motorsport-inspired harness belts coupled with aluminium fastening buckles. Their quilted leather upholstery combines with a microfibre fabric that is both sensuous and technical. In front of the driver is an instrument panel composed of a customisable TFT (Thin Film Transistor) display underneath a carbon cowling. The two pedals and aluminium footrest feature a three-triangle pattern symbolising Alpine peaks. The three-spoke steering wheel, also in aluminium, has a thick rim trimmed in topstitched black leather. Framed by gear-shift paddles, it houses a tempting ‘Sport’ button. The main switches are enhanced by Alpine Blue backlighting that also illuminates the centre of the air vents. The centre console rests upon a prominent, leathertrimmed aluminium structure. Taking cues from an aircraft cockpit, it appears to be floating inside the cabin. It houses a multimedia touch-screen tablet topped by a circular stopwatch. The Start button – accessible after removing a pin – is within tempting reach, holding the promise of an imminent sensory explosion. 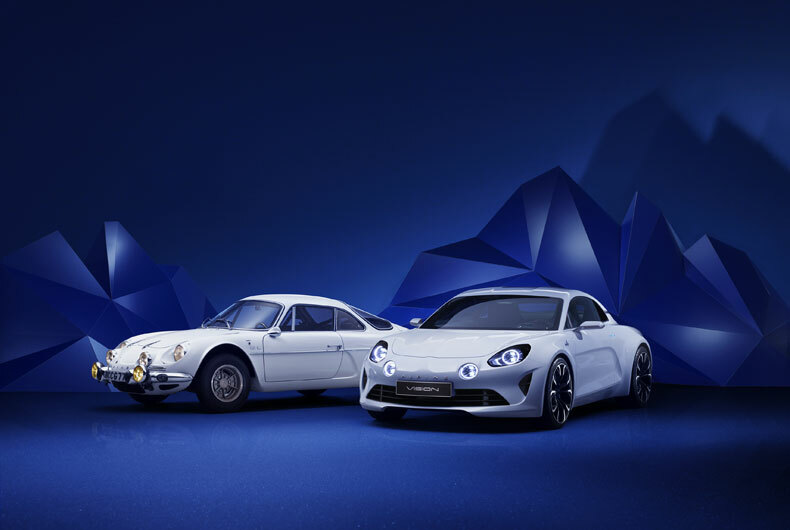 The design of the Alpine Vision stokes the desire to own and drive a car with real character. Behind the wheel, the precision, agility and playful personality of its chassis combine to produce an altogether captivating cocktail. The fun factor is intense at all speeds. 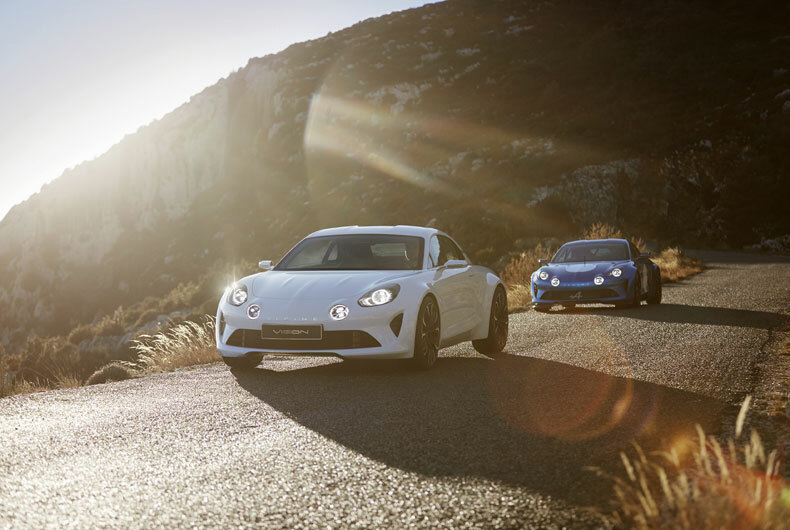 Such a car, of course, must be capable of giving full rein to its explosive performance potential and, in this respect, the Alpine Vision more than lives up to expectations. Sprinting from a standstill to 100kph in less than 4.5 seconds, its phenomenal acceleration is every bit as impressive as one might imagine and meets the target set for the forthcoming road-going model. 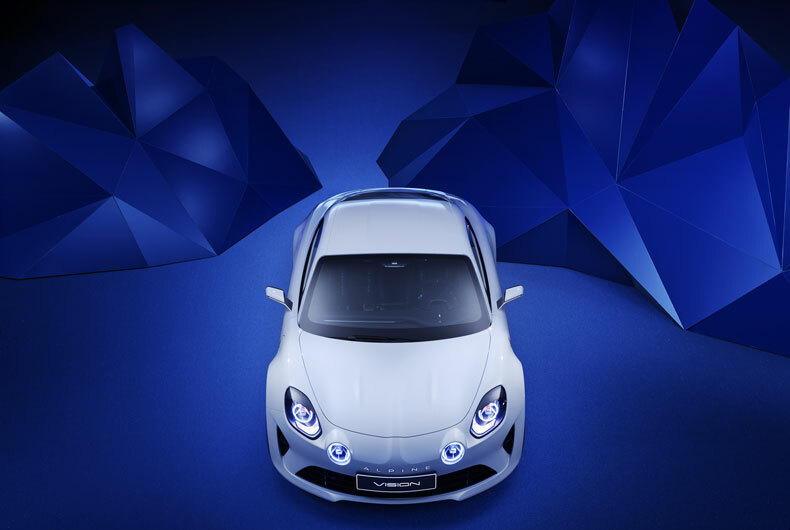 The four-cylinder turbocharged engine delivers its power with an inviting purr and, thanks to the Alpine Vision’s lightweight nature, every kW of energy and Nm of torque is dedicated to performance. This pleasure and performance are backed up by powerful brakes. The Alpine Vision show car fosters a close, rewarding relationship between the driver, his or her car and the environment. 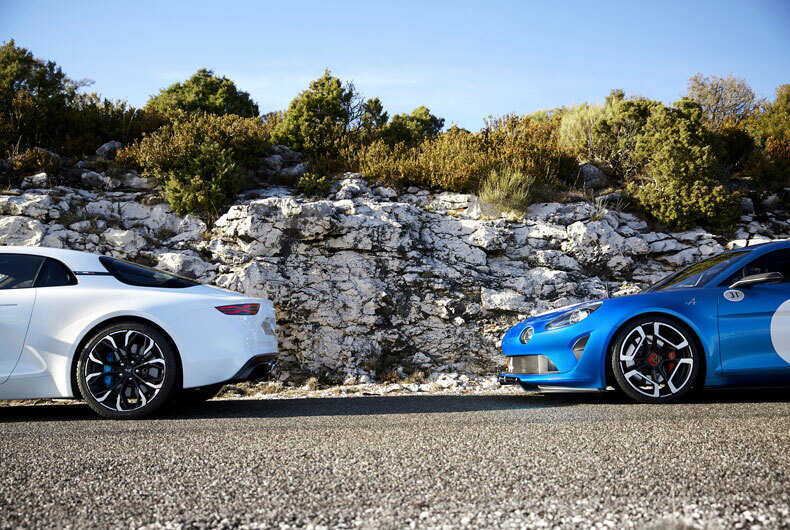 It is the direct and intense nature of this three-way relationship that produces the pleasure that has long been associated with driving Alpines.